Beginning in March, commuters along the South Fork will have more transportation options through a new system of Long Island Rail Road trains and shuttles. LIRR and South Fork elected officials gathered in front of the LIRR’s Hampton Bays station on Friday to announce the launch of the South Fork Commuter Connection, which will connect LIRR trains with shuttle services to reduce the region’s traffic congestion and give commuters new travel options. A rise in clam and oyster farming on the East End has some recreational boaters raising concerns. The state gave the county the right to lease out bay-bottom plots in Peconic and Gardiners bays to shellfish farmers following a public comment period. There are 55 plots, mostly with 10-acre leases. But some recreational boaters and sailing clubs are complaining about line-marking buoys that they say could potentially pose navigational hazards. Noyac residents were joined by environmentalists and elected officials on Friday, July 13, to call for the closure of Sand Land, a one-time sand mine that is now a vegetative waste processing facility. A recent report from the Suffolk County Department of Health Services concluded it is polluting the groundwater. A virtually dead plan to legally protect East End oyster farmers by quadrupling Suffolk’s agriculture districts was unexpectedly revived and approved Tuesday when Legis. Bridget Fleming proposed scaling back the area to be covered. The Sag Harbor Democrat filed a new plan that reduces the underwater area in Peconic, Napeague and Gardiners bays that could become agricultural districts to 25,000 acres. The size of the new proposal is based on tax map areas where aquaculture operators already have leases with the county. 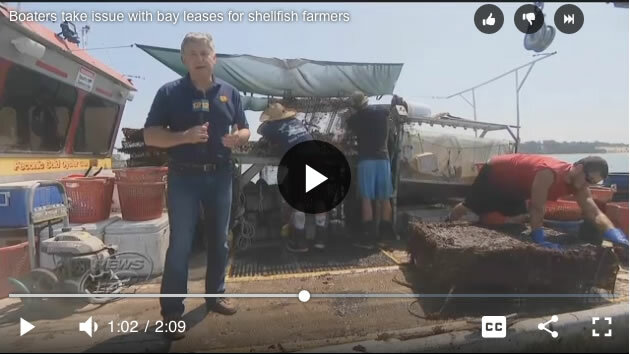 But it will only provide protection to oyster farmers who are leasing a total of 600 acres in 10-acre lots.